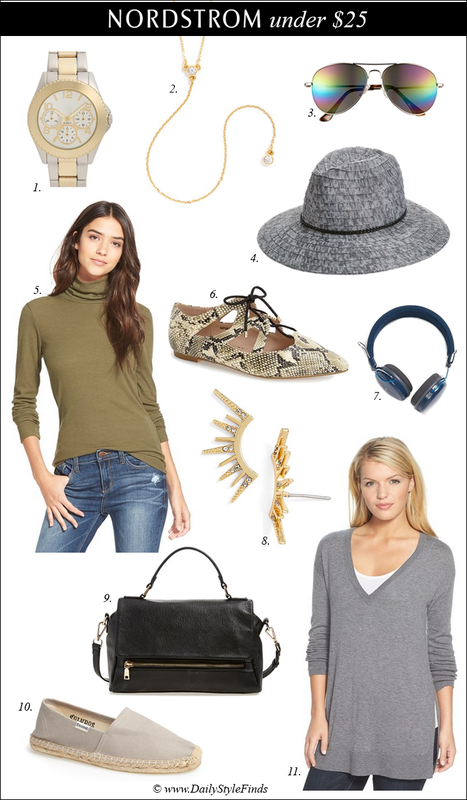 Some gift ideas under $25 at Nordstrom. These sunglasses are only $6 and the watch is $11. "Be still, friend. Know that God’s desire for you is a life of peace. He wants to free you from the chase. Wherever you are is exactly where you are supposed to be to ignite intentional change." My friend, Carrie, recommended this book, and so far, I am enjoying it and I cannot wait to read more. fun picks! I can't believe they are all under 25 bucks! so awesome! I love the Bauble bar necklace. Great finds! Love the colour scheme you went with for this selection!